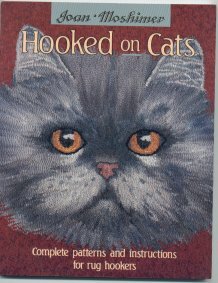 This paperback cat book features patterns, instructions and numerous black & white and color illustrations for cat designs on hooked rugs. The book has 178 pages and an index. NEW.